Promising Frankfurt producer, Bassel Heider, releases his debut EP this March on Cadenza Lab. 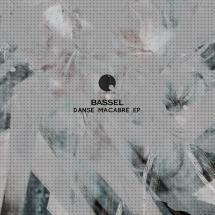 The ‘Danse Macabre’ EP features four classy cuts from Bassel, all highly detailed yet subtle tracks, designed for the more discerning dancefloor. Lead track ‘Danse Macabre’ is typical of Bassel’s sound approach, an understated and moody groove underpins the dark funk and shuffling percussion, it’s vocal sample persistent and hypnotizing… ‘Trans’ has jazzy undertones to its discordant arrangement, but stays decidedly brooding and melody free, its sticky, mechanical drum workout and dense production sounding quite other-worldly. ‘Four Varieties’ shares much in common with the early Cadenza sound, a real experimentation of samples and intricate drum patterns creating a superb mood piece, whilst the closing track ‘Ambience A’ provides some nice ethereal moments with it’s lazy and jazzy keys and big sweeping pads. Lovely stuff.